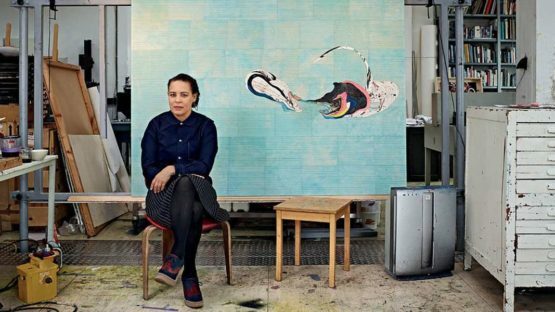 Ellen Gallagher is an American contemporary artist, known for her minimalist paintings, collages, and films through which she examines the development of African-American stereotypes. Her work incorporates postwar-era advertisements for hairstyles, wigs, and skin products targeting African-American women. Ellen Gallagher’s work has been shown in numerous solo and group exhibitions and is held in the permanent collections of many major museums.